A complete replatforming of an ERP solution is essential to face current digital challenges. It serves an opportunity to leverage new technologies for future growth. However, if the right approach is not taken, it can be a daunting task for any company, often involving significant risks and unmanageable costs. To an extent, a proof of concept (POC) helps resolve some of the uncertainties, but it is non-reusable and the effort taken does little to mitigate potential risks. For apparel, footwear and fashion companies looking to implement SAP S/4HANA for Fashion and Vertical Operations, the move creates a long list of questions that need consideration before any kind of work can begin. 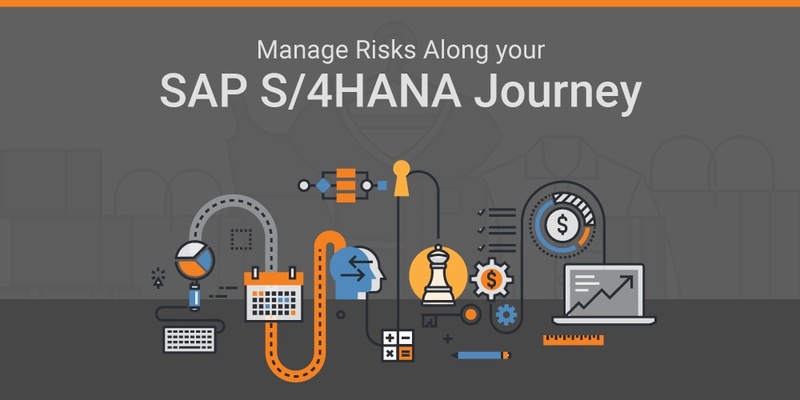 Some of the biggest customer concerns about making the move to S/4HANA is the potential disruption, organizational readiness, impact to current operations and difficulty in identifying the extent of potential change caused by a radical reconstruction of the entire SAP environment. In order to avoid system downtime and business interruption, it becomes essential to validate that new processes and applications work as required by the business. Testing and validation must be done early and often to ensure high coverage of day-to-day business activities and system processes. As a close collaborator of SAP S/4HANA for Fashion and currently involved in multiple S/4HANA implementations at global fashion companies, we have been able to identify practices that have been proven to work across the industry. As a result, we’ve calibrated our leading practice methods and developed a pragmatic approach to implementing S/4HANA, assimilating our working knowledge of S/4HANA, its tools and accelerators along with our unique fashion industry acumen. To minimize the risk, attune's Future Reference Solution (FRS) is designed to provide fashion brands a re-usable, personalized template of SAP S/4HANA for Fashion that leverages our rapid deployment solution - attune Fashion Suite™. Incorporating attune's knowledge of SAP S/4HANA for Fashion and proven industry best practices, this fit-for-purpose solution represents a configured S/4HANA for Fashion environment that helps reach the desired outcome in a more effcient and effective manner. It is a Reference System for S/4HANA Fashion that helps define a Global High-Level Design Template with Reference Process Documents. It goes well beyond a generic S/4HANA Fashion industry template capability by greatly enriching the completeness and quality of the solution to be validated during design. FRS is built on attune Fashion Suite, a pre-configured S/4HANA for Fashion solution, incorporating fashion-relevant business processes that includes specific functionality around seasonality, segmentation, order allocation and fashion product management. It is built to steer the implementation by combining SAP and industry leading practices with a fashion brand’s unique requirements. Validates potential clusters for convergence or divergence for the development of reference process documents to be utilized in the blueprint phase. Brand-specific data can be added to the Future Reference Solution, along with a brand's major in-scope processes to enhance validation in the subsequent phases. Adds lead time to address items that can impact scope/timeline, minimizing business interruption and accelerating resumption of daily operations. Increases early adoption, and “grows” a group of super users who will be used as trainers for post-go-live support, eliminating the need for a separate phase of User Adoption Training. By engaging key users early and often, the solution can be vetted in a more practical manner. This enables better decisions to be made, and allows change impact to the business to be better assessed. All FRS material can be leveraged to plan, prepare and conduct the blueprint. This improves delivery quality, expediting the timeline and minimizing efforts during the entire course of the program. Drives the Global High-Level Design/Validation with a higher quality template, complete with prebuilt configurations, test cases and gap analysis. Significant time savings by building documentation on top of existing attune Fashion content and writing Functional and Technical Specifications only once.